So, this is my favorite watercolor idea combination: wax resist and Claude Monet. It makes sense to me. Everybody had crayons at home, wax resist a very simple technique that even the smallest kids can master very well, and Claude Monet… well, what can I say? I love Impressionists and the “not finished” or “almost abstract” feel to their paintings is easy for kids to master. 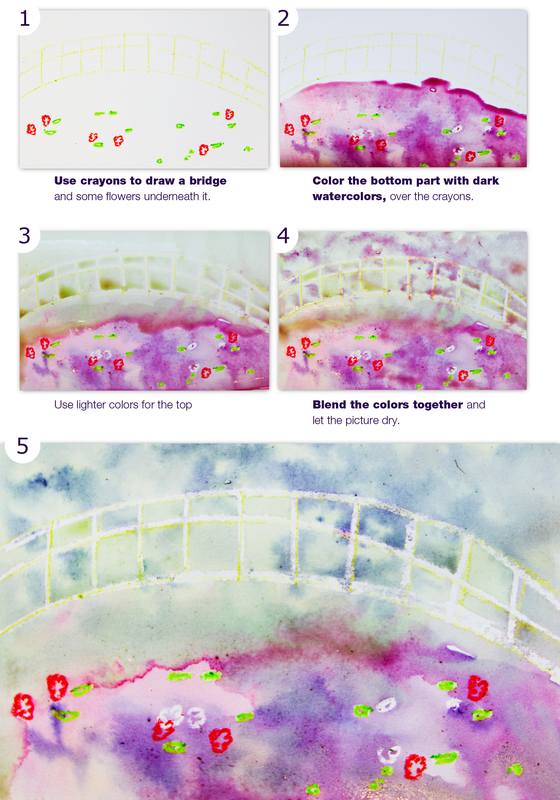 I also included a .pdf document that has all the instructions (including the home-made watercolors) and you can print it out, share it… whatever you want. It is but a small preview from the magazine-in-making. If you like it, check out the Kickstarter campaign an spread the word. 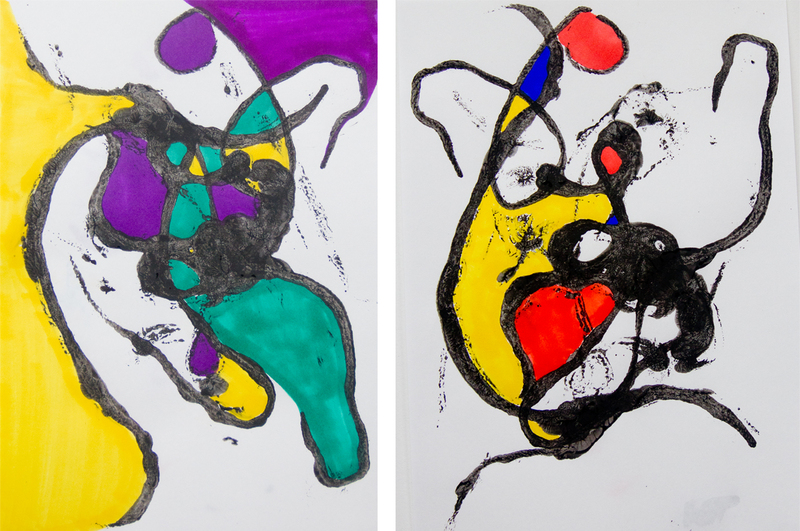 Thank you guys and enjoy the colorful project with your little ones. As always, there are more ideas at our Pinterest and Facebook pages. 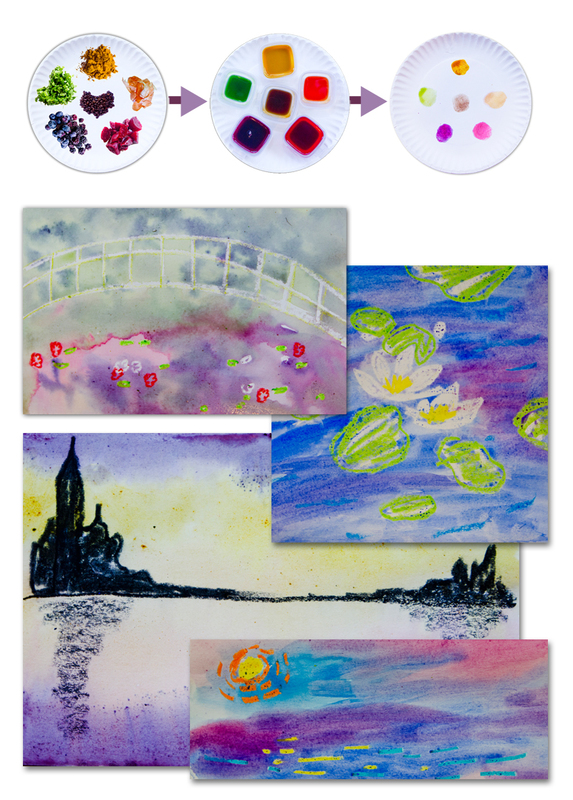 Next time, I’ll show you what you can do with these beautiful colors, introduce Claude Monet and Impressionism and show you a fun and engaging technique with cool results that your kids are sure to like. Stay tuned. This project is part of the arTree magazine. If you want to learn more about it, follow us on Facebook and check out the Kickstarter campaign – there ares till two more weeks to become one of the first subscribers to a brand new ad-free magazine filled with art. Today, arTree came bearing gifts: a little preview of the magazine. This is the link to a .pdf with the Seurat project. 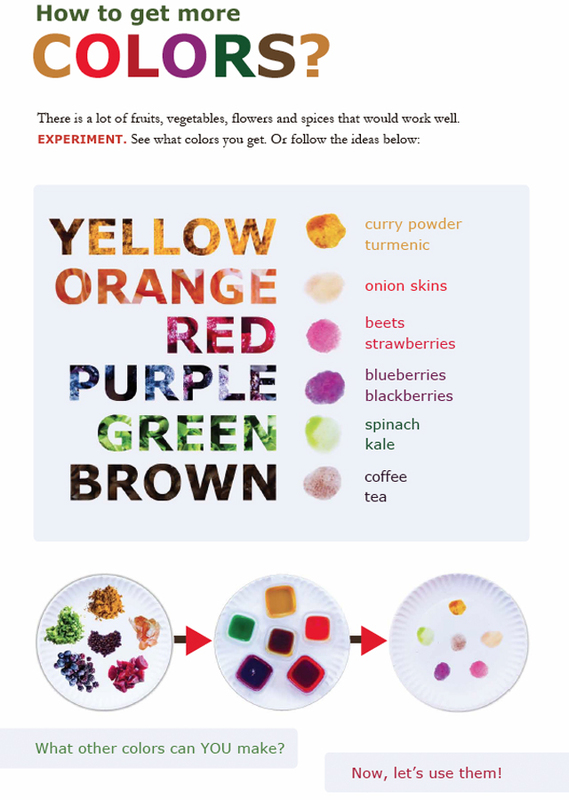 There, you will find information about secondary colors and tutorial to do a little cut-out experiment to see the mixing of the colors in action. Then arTree introduces George Seurat and pointillism and a simple and fun art project with great results. Have fun, and if your kids create a picture you want to share, please do. We’d love to share it in our Pinterest gallery and on our Facebook page. Also, we are thrilled to announce that arTree has been featured in Red Tricycle and in local newspaper. So, please help us spread the word and share the preview of the magazine if you wish. PS: If you haven’t done so, message us on Facebook and we will send you another preview with more projects – about line and shape (op art, tangrams and much more)… to get your kids busy before the first issue lands in their hands. If you like it, spread the word, share it with your friends & check out our Kickstarter campaign. Help us spread the creativity. Thank you. So, what is a line anyway? We all know it but it can easier to show that to explain. According to a definition, it is a basic element of art. It is a simple, continuous mark on a paper. It helps us create shapes and more complicated pictures. It makes letters, numbers, and a lot of other things. Get some yarn and black paint. Dip the string in the paint (but be careful to leave a small piece out to hold onto – you don’t want it to get too messy). Then take it out and slowly drop it on a paper. Put another paper on top and press down – this will make you two symmetrical pictures (and it will make sure you pressed hard enough and stayed clean). After that, just remove the paper and drop another string, and another… until you are happy with the way the picture looks. Now you can use markers to color the shapes you created. 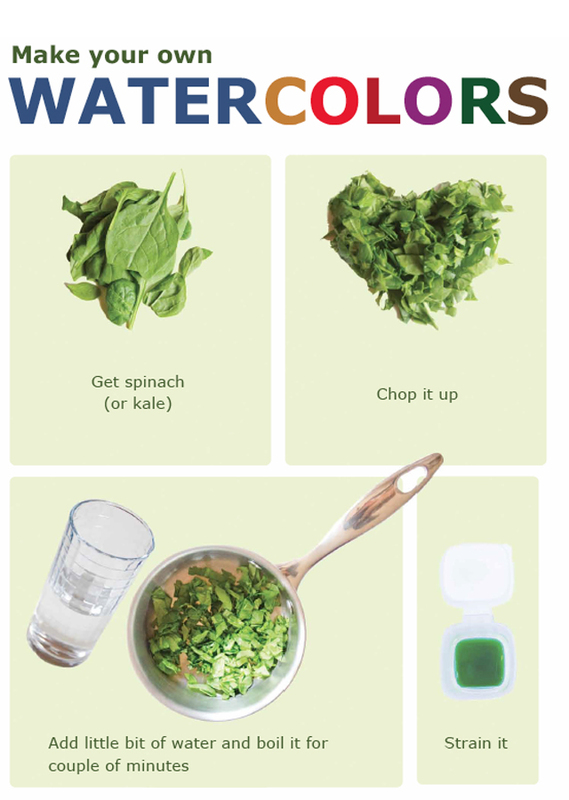 Choose different colors and different areas to color – isn’t it amazing how much it can change the picture? If you want to explore more fun projects based on lines, check out our Pinterest page dedicated to them. Happy Valentine’s Day, everybody! Have a great day filled with love – wherever you may find it today. 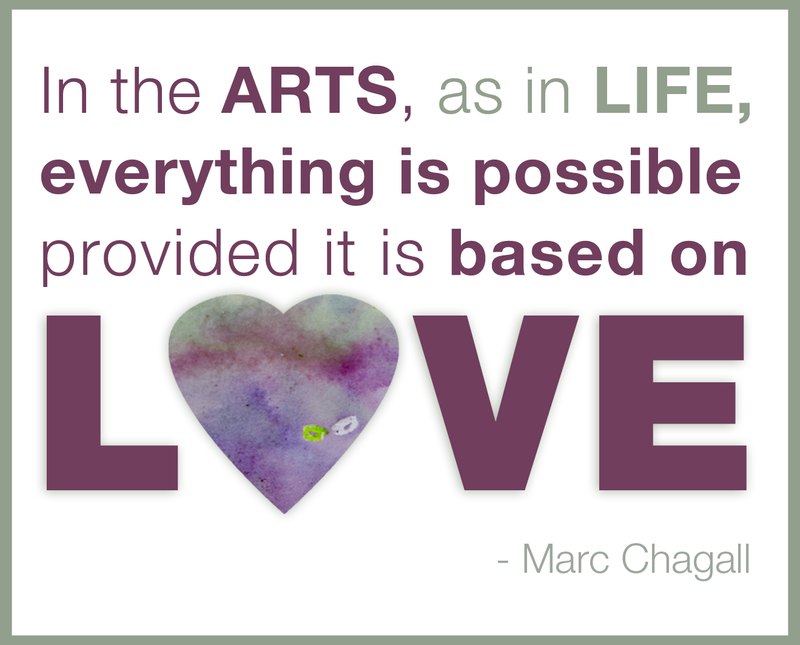 Have fun and spread the love (and art). In case you are still looking for last-minute card inspiration for your special-someone, here are some ideas you can use. 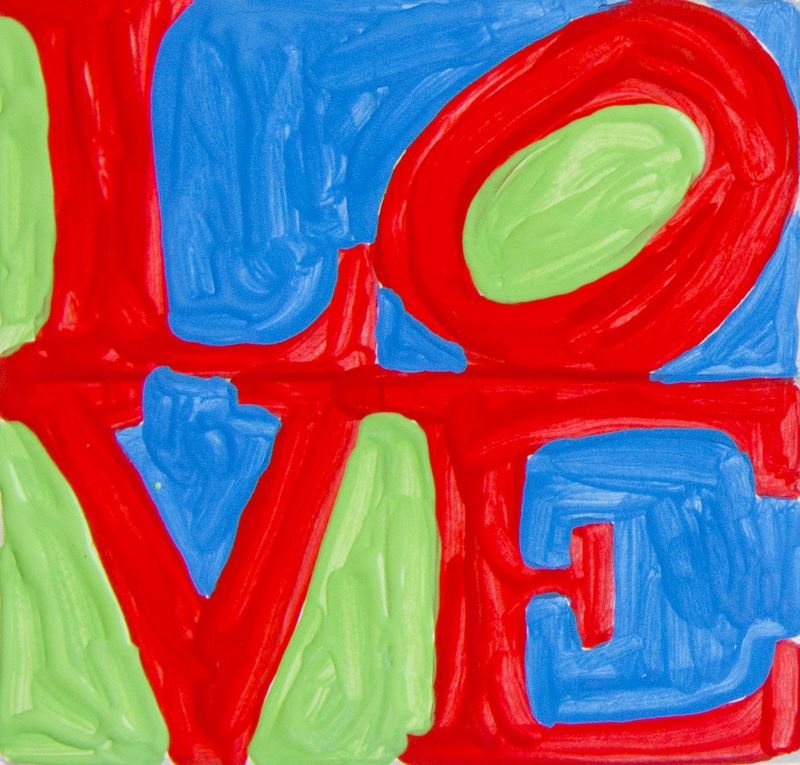 Show your love Robert Indiana style. Print out the page included. Cut the letters out and compose your message out of them. Then glue them on a card (or a picture) and color them. It’s that easy and results are beautiful. Have fun and spread the love & art.